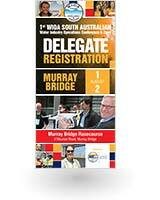 A fantastic range of presentations has been assembled for the 2018 South Australian conference. The program is subject to change. 8.00am Exhibitor registration and bump in.